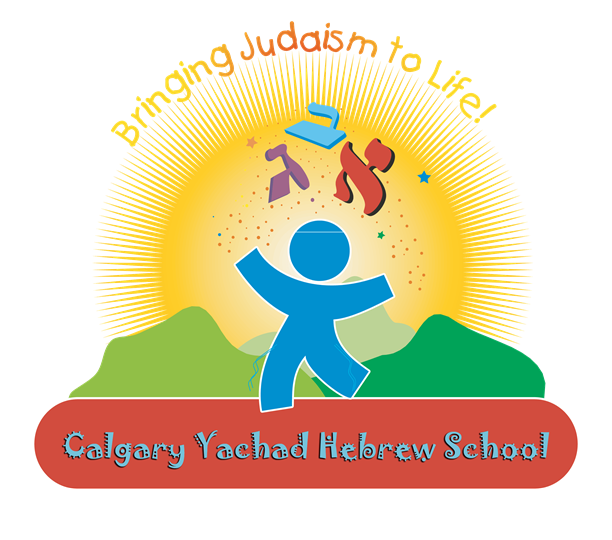 The Calgary Yachad Hebrew School - Bringing Judaism to Life! Yachad offers a unique program. Our curriculum is designed using multi-sensory, hands-on activities, creative art projects, music and drama. The children will be learning through using their five senses, thereby the knowledge will not remain abstract. Our sophisticated Hebrew language program will teach the Hebrew alphabet, reading and writing Hebrew words, and conversational Hebrew. Our Judaic curriculum includes history and knowledge of the Jewish holidays, as they occur throughout the year. 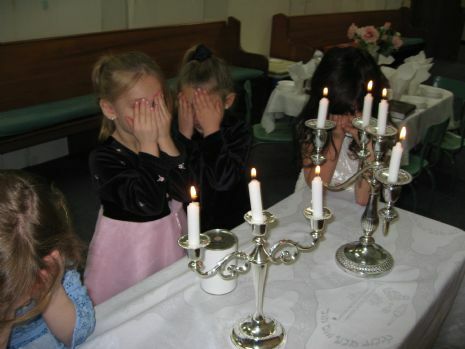 The children will be introduced to different parts of prayer. The history of our holy land, as well as modern day Israel will come alive at Yachad. The beauty of Shabbat, the importance of caring and loving one another, awaiting Moshiach and the mitzvah of Tzedaka (charity), are some of the important Jewish values that will be instilled at Yachad. At Yachad, learning is more than piling on the books. Our teachers actually live the material they teach. As a result of the children having real examples , together with a truly user-friendly curriculum, Judaism and the Hebrew language, are viewed and absorbed in an enjoyable, positive way. "The Yachad Hebrew School at Chabad was a welcoming, caring, positive learning environment for our children. The kids had a great time, were motivated to learn and were proud of their accomplishments. The Aleph Champ reading program and earning and spending their Torah dollars were definite highlights." 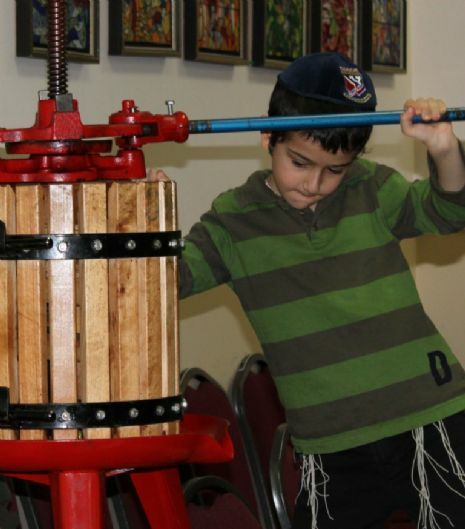 "I like the Shmura Matzah factory for Pesach, compressing olives to make oil for Chanukah, learning the history of the Jewish holidays is fun!" "Chabad Sunday School was always fun... it was with other kids, exciting teachers and interspersed with unique activities… a marvelous place to start my Jewish education... now, as I plan to move away for University... I'll continue to be involved with my faith." 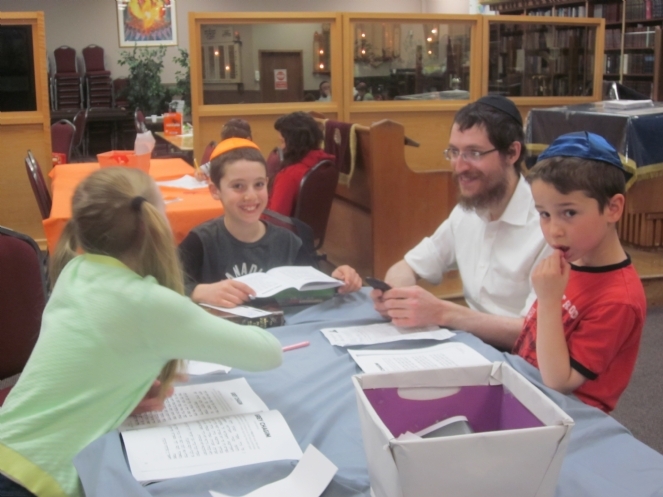 "My kids look forward to the nurturing and learning environment of Chabad house." "Mikaela has been attending the Yachad Hebrew School for the past three years and has enjoyed it very much. She is gaining an understanding of Jewish history and the customs, traditions and holidays of the Jewish religion, as well as learning the Hebrew language. All of the information is conveyed in a warm, caring and fun environment for the children." "Yachad School was a very gentle but effective introduction to the Hebrew language and a fun way to learn and gain a love of Judaism. We highly recommend it." "I liked playing colour tag and learning about chagim by doing the things that were done years ago, like compressing olives to make oil for Chanukah." 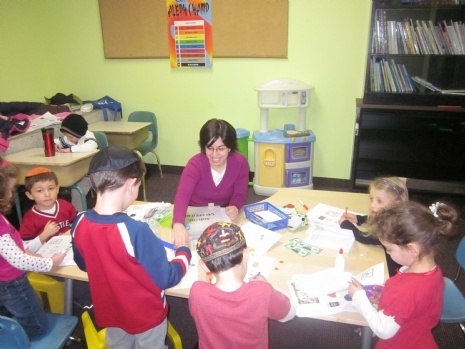 "We highly recommend Yachad Hebrew School. For many years it has provided our children with a warm and caring environment while teaching Jewish values and traditions in a positive and creative manner. 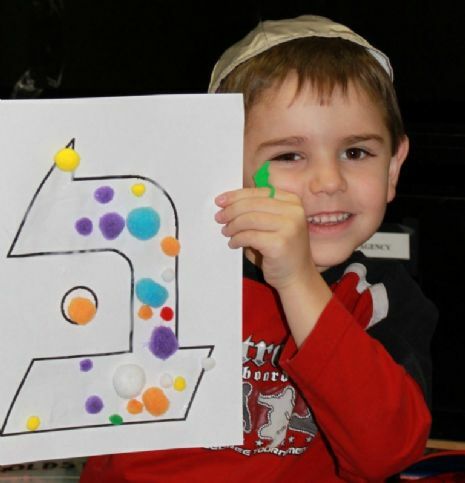 The wide range of subjects that are covered at Yachad Hebrew School are laying the foundation for Jewish pride and identity that will last a lifetime for our children." "I found the schooling invaluable in providing Justin with a Jewish experience and education. Justin also enjoyed very much attending the school as it assisted in giving him a Jewish identity that is so important in a city like Calgary with a small Jewish population. I feel that if you were able to restart the school it would become an important part of the Jewish community/education facility in Calgary."